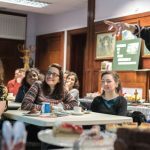 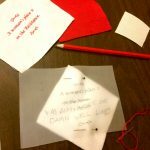 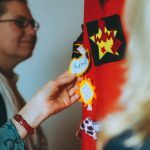 Revolutionary Makers was a project I led for Hull City of Culture in 2017, together with a team of local artist-makers, as part of the first ever Hull Women of the World Festival. 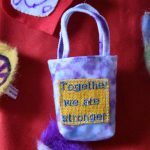 I was inspired by Hull designer Shirley Craven – a radical textile designer – and the growing tradition of craftivism, which uses craft to stimulate personal, social or political change, and has been around since before the suffrage campaigns . 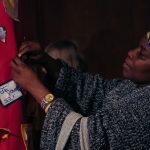 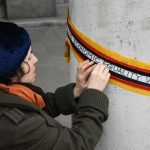 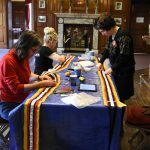 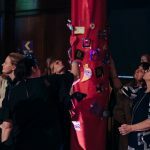 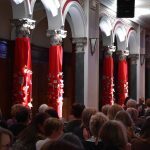 It involved a workshop series across the city, designed to create conversations, reflections and actions around gender equality and resulted in an installation around the pillars of City Hall during the Festival involving around 800 participants. 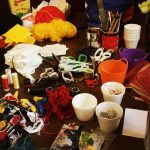 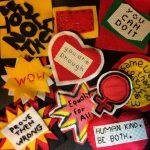 Watch a 3 min video of the WOW Festival here featuring the women, installation and pieces of craftivism we made . 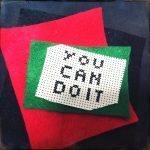 Watch me introducing it here before we got started. 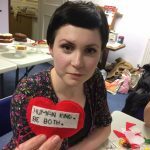 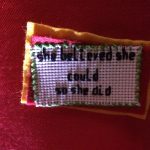 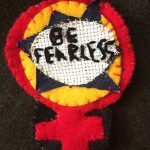 Read my guide to becoming a Revolutionary Maker and more on craftivism here , or listen to me being interviewed on Radio 4 Woman’s Hour panel live in Hull during the event here.